Inspired by the famed Tornado line of Retro 1951 pens, this reproduction captures the essence of the classic pen. 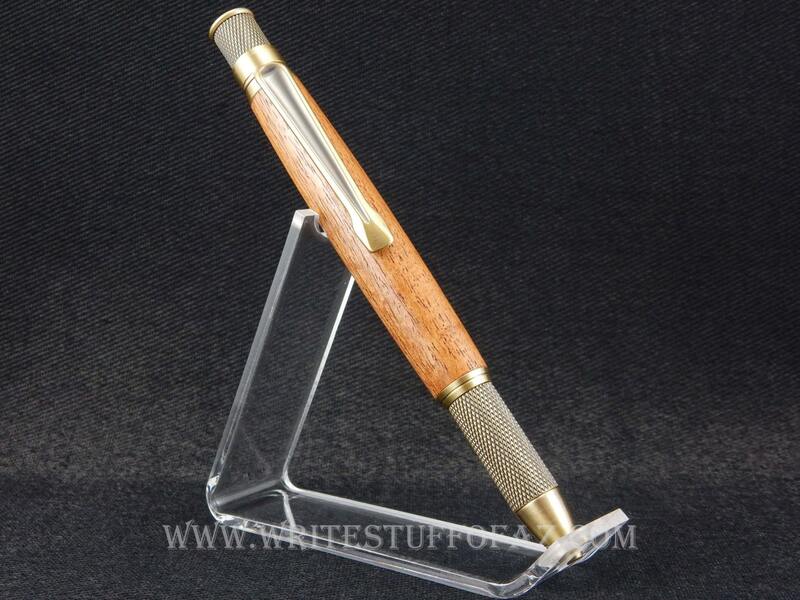 Note, however, that a knurled grip has been added, giving this hand-crafted pen a uniquely industrial look. This one has been hand-turned in mesquite wood. After finishing, it has been paired with jewelry grade gunmetal plated fittings. The pen accepts Parker refills, available in either ballpoint or gel in office supply stores nationwide.